If you’re the proud new owner of a 2019 Nissan Rogue, it’s time to hit the road. 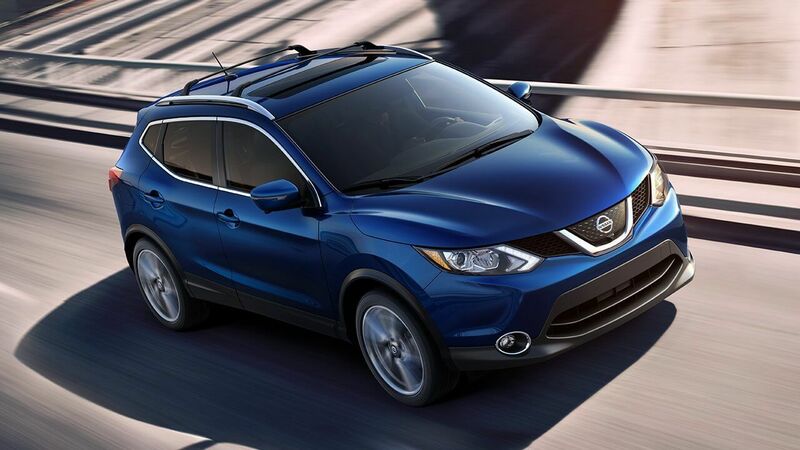 There’s no better time to take a road trip than right after you become the owner of a brand new, impressively fuel-efficient, high-performing compact SUV like the Nissan Rogue. Designed to go the distance, your 2019 Rogue won’t let you down as you embark on one of these five epic road trips that are centered around iconic cities in Southern California. About two hours north of Los Angeles lies Santa Barbara, which is renowned as “the American Riviera” for its gorgeous Spanish architecture and beautiful beaches set against a backdrop of a majestic mountain range. This charming town is full of historical, cultural, and architectural landmarks like the Old Mission and a small art museum that includes works by famous artists like Picasso. Santa Barbara is conveniently located at the edge of southern and central California. It is about two hours north of the heart of Los Angeles and four hours south of San Francisco, which makes it the perfect central destination for a longer road trip that spans a larger part of California. Santa Barbara is also just a hop, skip, and a jump away from the Channel Islands, which are a must-see for road trippers in California. San Luis Obispo is a college town that combines modern go-to spots with historical architecture and a quaint, charming vibe. Located right next to California State Polytechnic University, San Luis Obispo is constantly alive with busy, excited students and there is always something fun to do there. Downtown SLO is home to beautiful Spanish architecture, unique coffee shops and cafés, and a surprisingly vibrant nightlife. This city also includes beautiful hiking trails if you want to get some steps in against a backdrop of the ocean and trees in a classic coastal California town. San Luis Obispo is completely accessible from Highway 101, the iconic coastal highway that offers incredible views of the glistening ocean on one side and the beautiful mountains on the other. Plus, if you head north from SLO, you’ll soon hit Morro Bay—a gorgeous, must- see harbor town with unique shops and restaurants, a ton of wildlife, and amazing views of the ocean. Nestled among the majestic Santa Ynez Mountains and featuring the beautiful Santa Ynez River, the Santa Ynez Valley is a picturesque escape that should definitely be a part of any road trip through Southern and/or central California. It is located north of Santa Barbara in Santa Barbara County and is an ideal relaxing destination to hit on your way up through central California. Overall, the Santa Ynez Valley is a beautiful place that has no shortage of scenic landscapes that highlight the natural beauty of central California. If you’re a wine connoisseur, you’ll never get bored in Santa Ynez. The Valley is known for its vineyards and wine and includes multiple miniature towns that offer their own unique vineyards and breathtaking views of the mountains. Lake Arrowhead is an underrated road trip destination in Southern California. It is a small community centered around the beautiful Lake Arrowhead and also features a shopping center that includes several delicious restaurants with unbeatable views of the sparkling blue lake below. The roads through Lake Arrowhead are a bit narrow, but they are dotted with adorably quaint cabins and surrounded by tall trees and greenery that make for gorgeous views out your car windows. In the summer, you can play water sports, swim in the lake, or tan at the edge of the water. When it gets colder, Lake Arrowhead gets enough snow to feel like a winter wonderland—which is especially exciting for residents of Southern California who don’t get much access to snow otherwise. Whether you stop by just for an afternoon to stretch your legs or choose to stay a few days before you move on to your next destination, you’ll feel right at home in this beautiful lakeside community. Orange County has it all, which makes it a perfect road trip destination for drivers trekking through Southern California. It is located in the greater Los Angeles area, but has less of a bustling city vibe and more of an upscale beach town feel. There are many wonderful ways to spend your days in Orange County. You can go whale watching in the quaint harbor town of Dana Point, or enjoy some of the most beautiful beaches you’ve ever seen at Crystal Cove State Park. At night, go barhopping in Newport Beach. Spend an afternoon shopping at South Coast Plaza or Fashion Island, which are both renowned shopping destinations and feature plenty of worthwhile restaurant options as well. Plus, Orange County is just fifteen minutes away from Disneyland, which is definitely a top destination for road trippers in Southern California.